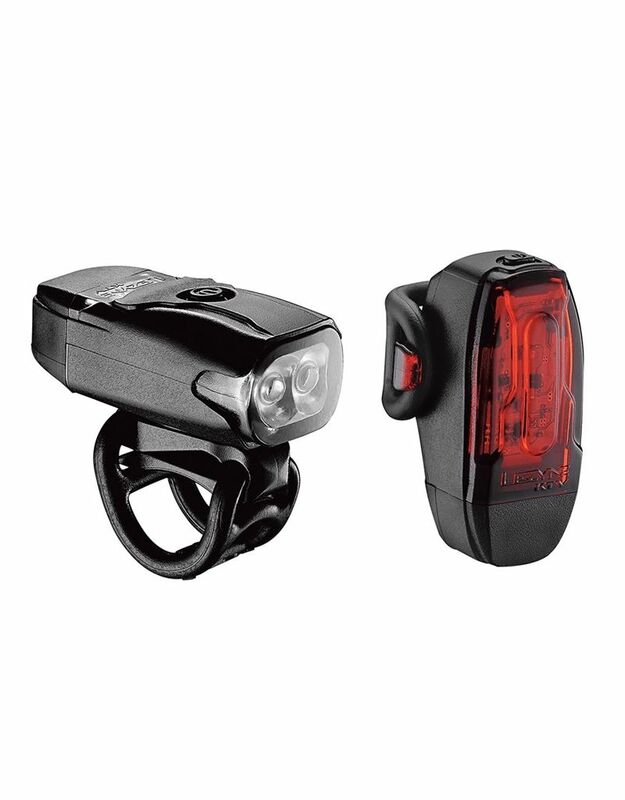 A compact, high visibility safety light set, with fuss free integrated USB charger and waterproof construction. Ideal for commuting or for secondary back up lights. 70 Lumen front, 10 Lumen rear. 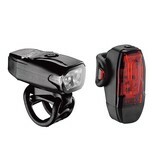 Compact, high visibility safety light with two ultra bright LEDs. Side Visibility cutouts for 180 degrees of visibility. Versatile 2-in-1 Clip-On System straps to bars or clips to loops. Integrated USB stick for convenient cable-free recharging. Provides up to 70 lumens and six output/flash modes, including a super high-visibility Daytime Flash mode. Provides up to 10 lumens and three output/flash modes.